High black shiny strappy & studded sandals with two buckle straps, t-strap, lots of black studs and very thin heels; these pumps combine perfectly with jeans or a black skirt. Long black shiny heels. Heel height varies per size from 15,5 to 17cm. Sizing: Small. Choose one size up when in doubt. 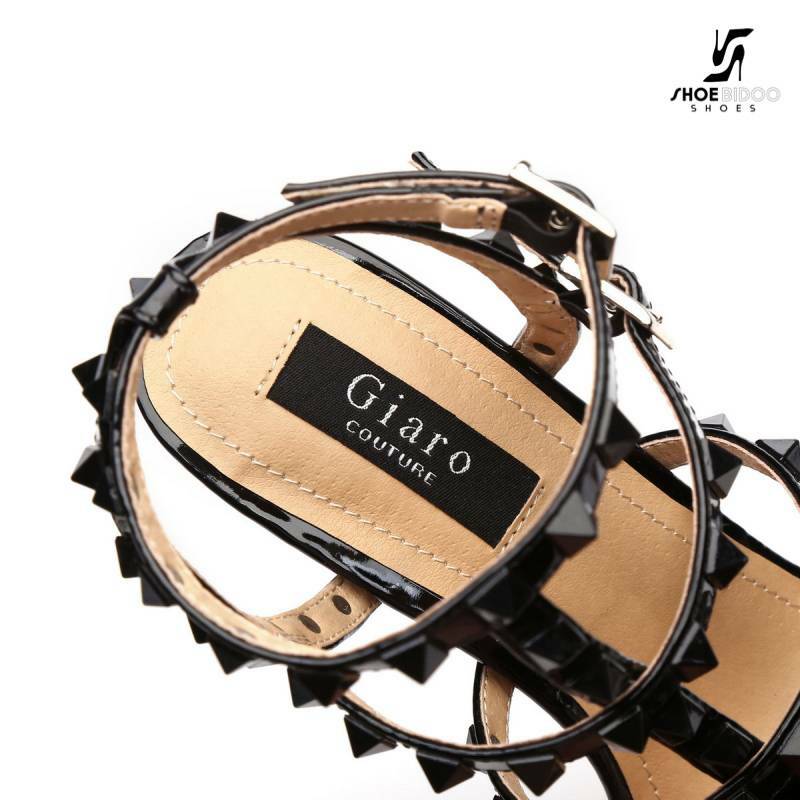 High black shiny strappy & studded sandals with two buckle straps, t-strap, lots of black studs and very thin heels; these pumps combine perfectly with jeans or a black skirt. Long black shiny heels. High black shiny platform sandals with T-shaped ankle straps and very thin heels; these pumps combine perfectly with jeans or a black skirt. Long black shiny heels. Heel height varies per size from 15,5 to 17cm.